I don’t remember the last time I had tears in my eyes laughing hysterically while playing a videogame. Couch co-op party games are all great, but Le Cartel has developed something extra with Heave Ho. 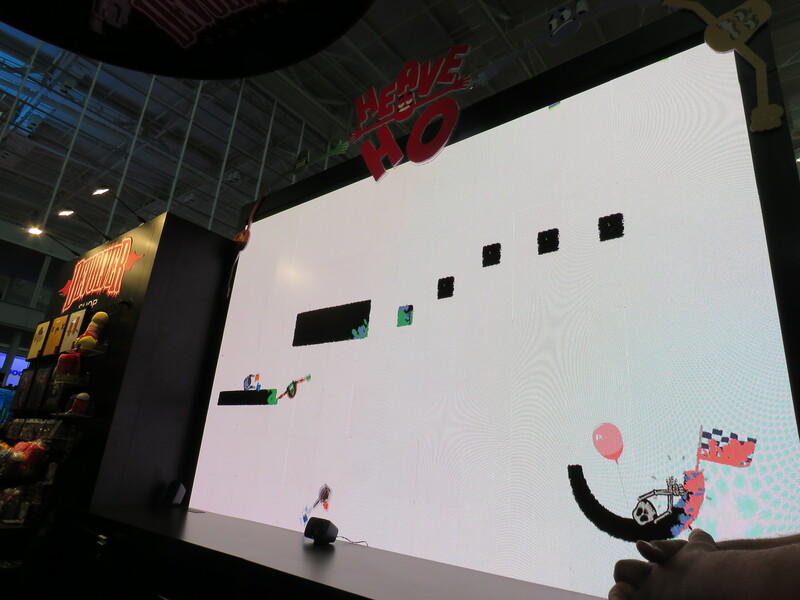 Heave Ho is a four-player couch co-op game and younplay as a Mr. Potato-like character, a big head with two long arms. Each arm has a hand programmed to each of your triggers, and the goal of the game is simple, have everyone reach the goal line. Now even though that sounds simple, it is actually quite difficult. Each level may include spikes, slides, and the confusion of, “do I let go of my left grip, or right?” This all compounds to an intense level of difficulty while swinging and laughing throughout. Each run contains five random levels that you and your team need to get through. These levels come in various themes as well, from caves, jungles, space, and deserts/canyons. Each one will have their own dangers and as a team, your job is to overcome these obstacles and guarantee victory. As if that wasn’t enough, there are also a variety of hidden levels that appear at random. While playing, a magic golden rope will show up for only 10 seconds, if anyone in your team can manage to pull the rope, you will all get sucked into a mystery level. 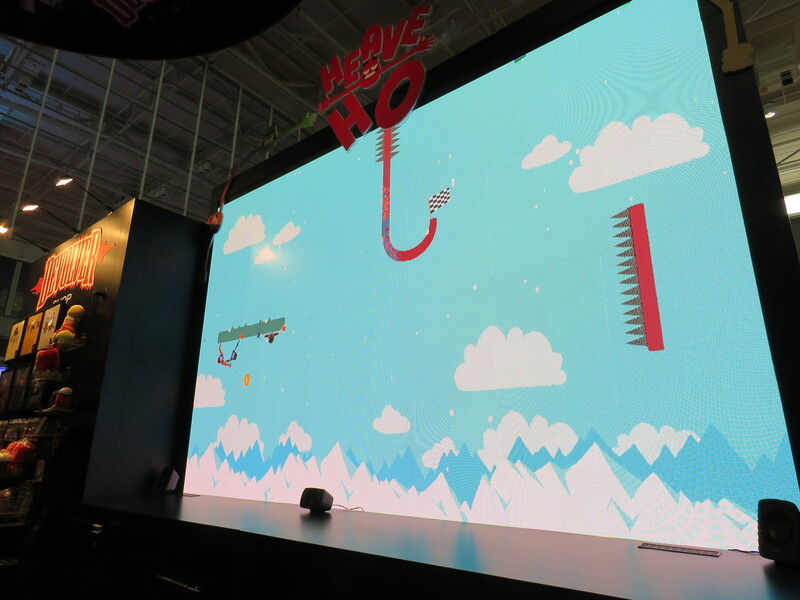 These levels include various mini-games, though the only one we got to experience was the Basketball one where you had to grip onto a basketball that appears on the map then swing/throw it into the net. Once you reach a set number of points you win that level and of course unlock coins. Coins are the game’s only currency and it will be used to unlock different skins within the game. Coins appear in each level and can be earned by getting them into the goal. At the time, the developers confirmed there were about 50 skins planned for launch. The skins we got to choose for our game were a Rastafarian-type character, skull and bones, a Solid Snake looking character, and an ape. Although there are many more to pick from the start. Whether you are cheering on the people playing, or hoping they fail, this is a fun game to watch and can’t wait to include it in the rotation of our game nights.